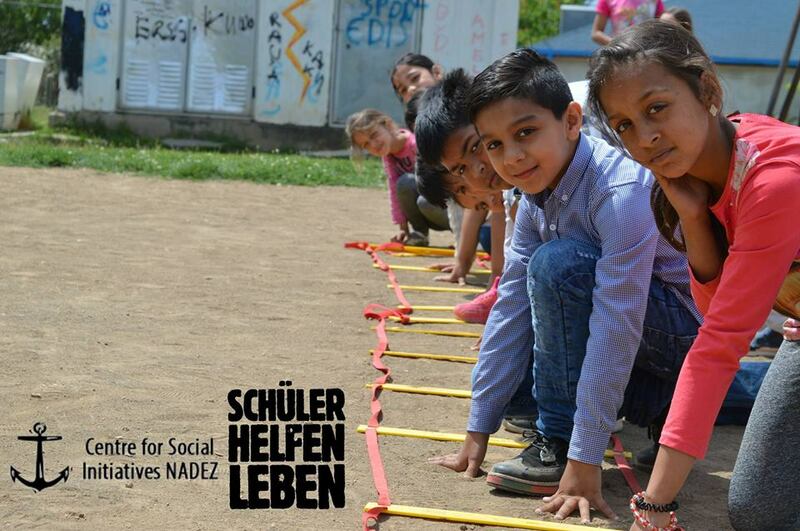 Center for Social Initiatives “Nadez“ and the foundation Schueler Helfen Leben, in cooperation with the Municipality of Shuto Orizari, invite you to take part in the race “Trcame Zaedno“ that will take place on 10-th of June in the streets of Shuto Orizari. For the first time children, students, companies, representatives from institutions and organizations will run and compete in Shuto Orizari to raise awareness on the importance of physical activity among the children. “Trcame Zaedno“ consists of two different races. The first race with a distance of 2 km is for the children from C.S.I. “Nadez” from age 8-14. The adult race is for everyone age 15+ with a distance of 5km. The adult race is a 4 km long and is opened to interested individuals, representatives from companies, institutions and organizations. This race has charity background and it is welcomed that individual registrations include a donation at the assigned places at the day of the race. After the finish of the two races, we invite you on mutual celebration in our Center’s yard in Shuto Orizari. Together we will announce the winners, listen to good music, spend some time with the children who visit the Center and participate in the various interactive zones that our team prepared for you. The registration for the adult race is open until May 30, 14:00. All information and instructions for the race location will be delivered in the welcome packages for the registered participants.